New Governor Tony Evers earlier this evening delivered his first State of the State Address before lawmakers and a packed audience who gathered in the Assembly chambers to hear Evers’ remarks. His speech called on Republicans and Democrats to work together in a bipartisan manner and included numerous themes Evers highlighted in his campaign, such as additional funding for K-12 schools, finding a solution to adequately fund road projects across the state, and accepting federal Medicaid expansion funding. But there is more to an economy than counting job creation. And the state of our state is more than our unemployment rate. We’re also going to address Wisconsin’s transportation funding crisis. In the coming days, we’ll be announcing a task force of stakeholders to get to work on proposing a bipartisan policy solution to be included in The People’s Budget. The task force will solicit feedback from key partners from all regions of the state, all sectors of the economy, and users of all different modes of transportation. We are a state forged by the Wisconsin Idea–the notion that education informs our public policy and that knowledge should embrace the communities we’re called to serve. That means I expect legislation arriving on my desk will be passed with broad support and in the spirit of bipartisanship. That means instead of taking up an entirely new budget of its own, I expect the Legislature to take up the budget I crafted by and with the people of our state. 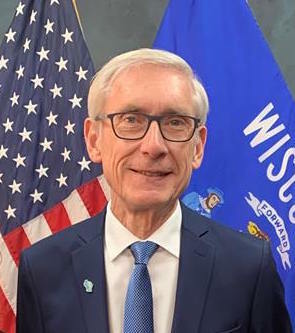 To read Governor Evers’ full speech, please CLICK HERE.